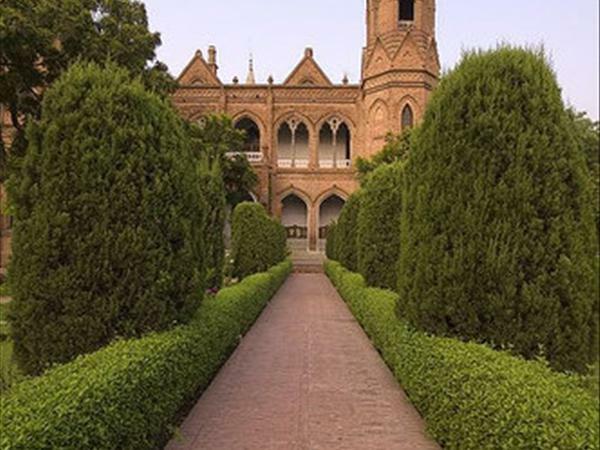 The Lahore High Court (LHC) on Thursday barred a female student — who alleged in a Facebook video that she was denied admission by Lahore’s Government College University (GCU) on grounds that she wears a face veil or niqab — from campaigning against the varsity on social media till the charges she had levelled were proven. Justice Aijazul Hassan directed the niqab-wearing applicant to halt her campaign against GCU on social media until the matter was decided by the court, as it was affecting the reputation of the institution. The court had taken up a petition filed by Mehreen Shafaq in which she had claimed that the GCU had discriminated against her when she applied for admission in its BSc Applied Management programme. GCU’s administration contended before the court that Shafaq had not been denied admission to GCU on the basis that she wears a face veil but because she did not meet the varsity’s merit criteria. After hearing the arguments from both sides, the court adjourned the hearing for two weeks. The controversy over Mehreen Shafaq’s admission to GCU gained public attention when the student uploaded a video on her Facebook profile alleging she had been discriminated against on religious grounds. In the video, Shafaq had said that she was told by a coordinator at GCU that her application could not be forwarded for interview as it was “against the department’s new policy to admit students who cover their faces”. She added that upon her insistence her interview was conducted by the director of Management Sciences Department (MSD). According to Shafaq, during the interview, director MSD told her that the department did not accept applicants who wore a face veil. He further told her that “for students like you there are women colleges or girls universities”, she claimed. A faculty member who accompanied the director asked Shafaq why she had placed her photo on the form when she wears a face veil. Upon this, the student replied that it was purely for the purpose of record-keeping and the picture was not captured to be shown to general public, she said in the video. Shafaq said it was the right of every woman to practice any Islamic rules “in this Islamic Republic of Pakistan”.